Progressing with pedal power – mountain bikers as well as the casual cyclist will experience true joy in Lungau, Salzburg. The valley surrounded by mountain landscape offers more than 550km for every level – flat roads as well as mountain climbs. Along streams, through forests and up mountains – the well-built and signposted cycle-path network in Lungau offers the ideal route for both professionals and families alike. 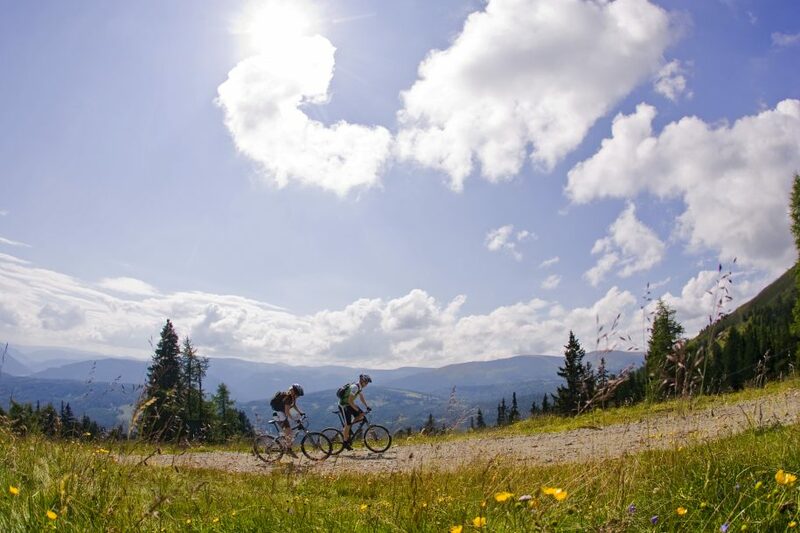 Lovers of biking holidays will find adventure and recuperation in the sunniest region of Austria. Tip for families: On the Mur cycle path there are several places to stop for refreshment. Whether you prefer a comfortable 17km tour or a more challenging route of nearly 42km these 15 different tours provide action and variety in the Salzburg Mountains. The “Lungau EXTREM” Tour, crossing through valleys and covering 500km, requires you to conquer challenging altitudes and is enough to make the heart of the most passionate biker beat faster. Copies of “Mountainbike-Karte Lungau – 15 Strecken im Lungau” & “Lungau Extreme” are available at AlpiNest.